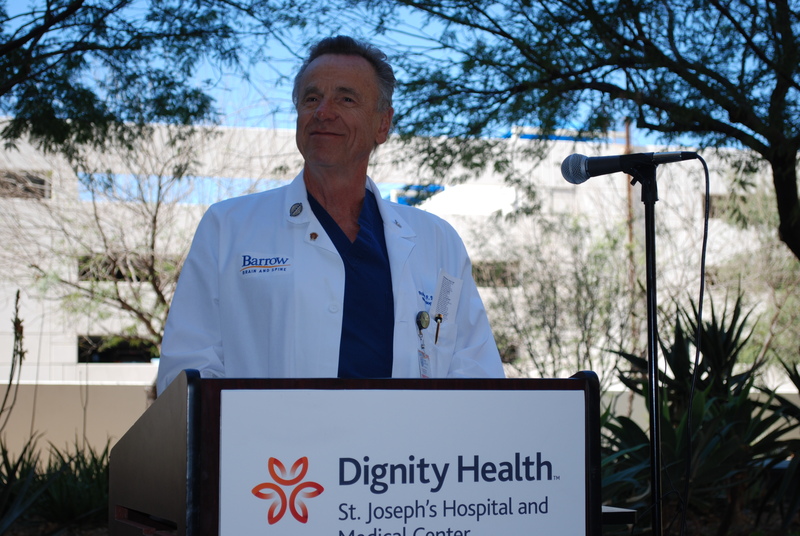 Dignity Health St. Joseph’s Hospital Celebrates 124! 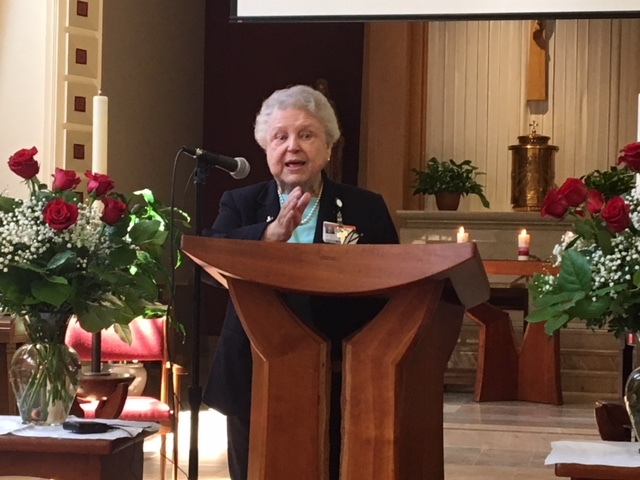 Dignity Health St. Joseph’s Hospital and Medical Center celebrated its 123rd anniversary by honoring the contributions that its founders, the Sisters of Mercy, have made to the hospital and to communities throughout Arizona. 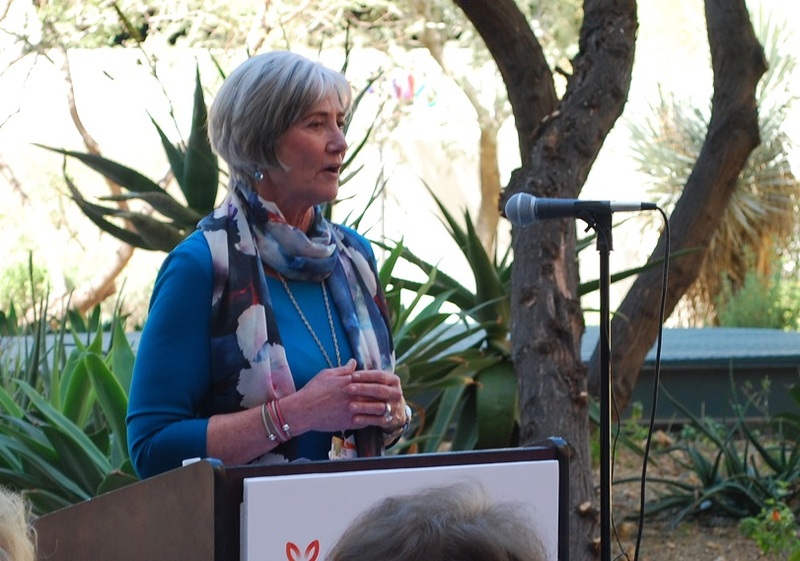 As part of the celebration, an historic display in the hospital’s lobby that traces major milestones of the Phoenix’s oldest hospital was dedicated to the Sisters. 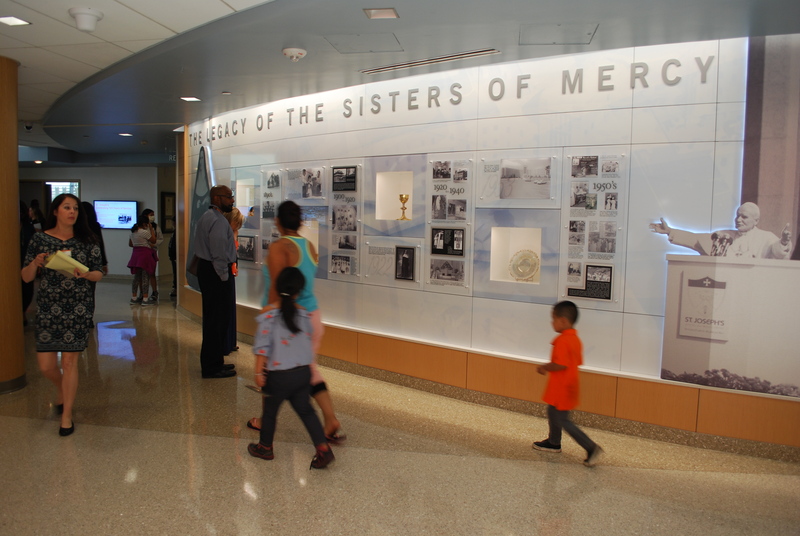 At a special ceremony commemorating the role that the Sisters of Mercy have played in the founding and development of the hospital, a Mercy Memorial Wall was unveiled. The wall showcases religious artifacts and historical objects that illuminate the importance of the hospital and the Sisters’ leadership. Among other displays, the wall highlights photos of Saint John Paul II’s visit in 1987. The Sisters of Mercy founded St. Joseph’s in 1895. 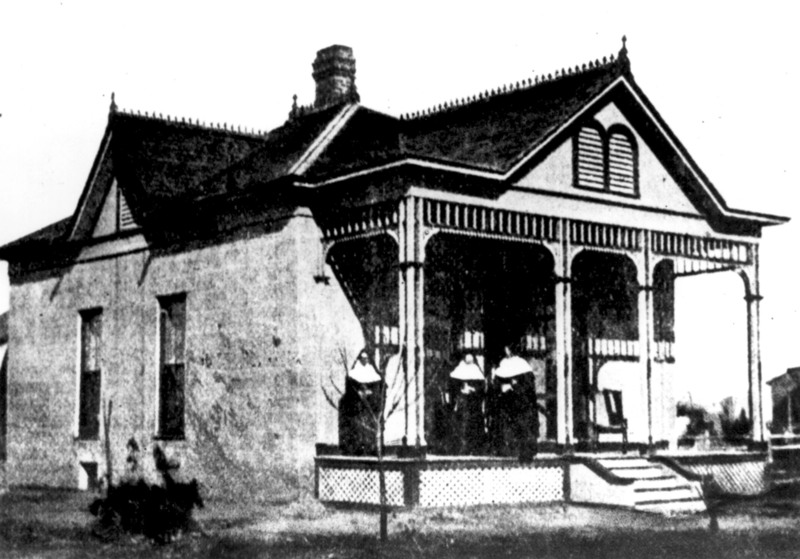 Originally located in a six-bedroom brick house at the corner of Polk and Fourth Streets in downtown Phoenix, the hospital was moved to its current location on Thomas Road and Third Avenue in 1953. Since then, it has grown into one of Arizona’s largest and busiest hospitals, and is home of Barrow Neurological Institute and Norton Thoracic Institute. The Muhammad Ali Parkinson Center is also located at St. Joseph’s. Indeed, during the course of the state’s history, the Sisters have cared for the sick during epidemics that have gripped far-flung areas, even caring for injured soldiers in Nogales in 1910 when Mexican revolutionaries and U.S. soldiers were in a heated battle. 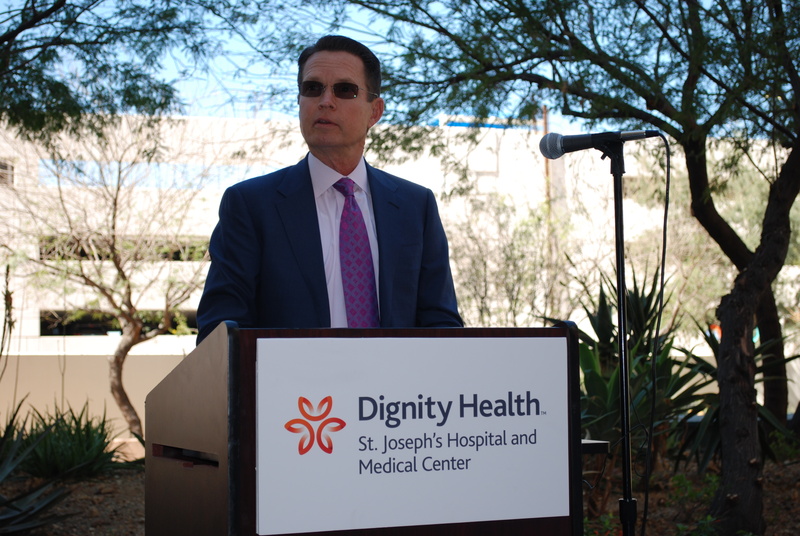 Today, St. Joseph’s Hospital and Medical Center, now part of Dignity Health, is a 594-bed, not-for-profit hospital that is nationally recognized for its specialty care, medical education and research. Last year more than 31,000 patients were admitted and more than 114,000 were treated at the hospital’s emergency department. Below, St. Joseph's Hospital President and CEO Patty White, Robert Spetzler, MD, former CEO/President of Barrow Neurological Institute, and Dan Grubb, a longtime supporter of the hospital, praise the Sisters of Mercy during the 123rd anniversary celebration.